As executive vice president and provost of the largest university system in Louisiana, Hughes worked to support nine regional, comprehensive state universities that serve nearly 90,000 students with an annual budget of $750 million. Her previous leadership also includes being selected as a year-long American Council on Education (ACE) Fellow with an initial semester-long placement in the Office of the President at the University of North Carolina System, which serves 17 institutions. During her career, Hughes has held academic appointments at the University of Missouri, Virginia Polytechnic and State (Virginia Tech), East Carolina, Kansas State, Middle Tennessee State, and Morehead State Universities, including three as a tenured professor, and has also developed professional relationships with faculty and administrators at six historically black universities. 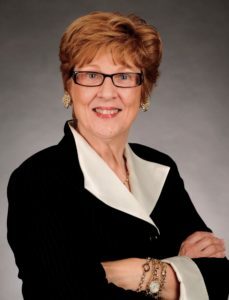 In the 15 years that Hughes held statewide outreach appointments in Kansas and Missouri, she developed the first computerized programs for the Missouri Cooperative Extension, and her alternative agriculture enterprise was recognized by the University of Missouri System president as among the state’s 10-best economic development programs. She has been recognized for her outreach and coalition-building skills when the Intergenerational Community Center that she organized in 2004 through a partnership between a community college, city government and her college at East Carolina University earned the national Association of Public and Land-grant Universities’ C. Peter Magrath University/Community Engagement Award. Hughes holds a Doctor of Philosophy Degree in Agriculture (Animal Science/Food Safety) from the University of Tennessee-Knoxville, as well as Master and Bachelor of Science Degrees in Nutrition and Food Science from Kansas State University. She has also completed postgraduate work at the University of Missouri-Columbia in personnel administration. When she left East Carolina University, she was granted professor emerita status.